A generous helping of the latest technology, even for an industrial computer, gives this industrial PC a surprising edge performance-wise. 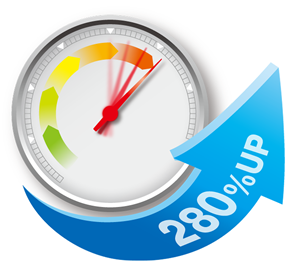 This model delivers the necessary power to high-spec machine tools and other devices that require high-speed processing as well as significantly reduced OS and application start-up times. 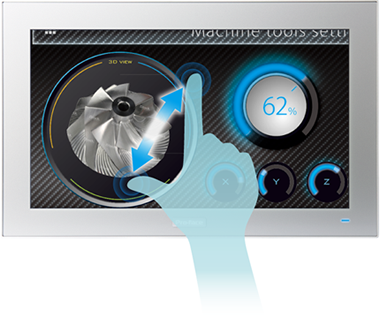 Equipped with a multi-touch display that enables operation similar to that of a tablet or smartphone. The intuitive gestures for such actions as zooming in or out on a device operation screen or swiping to switch screens make operation smooth and simple. Choose between the electrostatic capacitive type or the pressure-sensitive type capable of being used with gloves. Equipped with a full HD (1980×1080) display offering approx. 1.6 times more display area than conventional models. 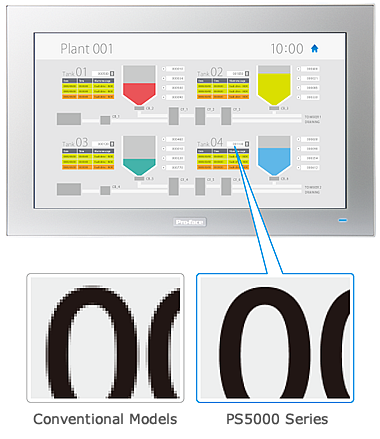 Even when used as an industrial panel computer to show a lot of information from monitoring applications all over the plant, the display shows numbers, letters, inspection images, and other information in a clear and legible manner. 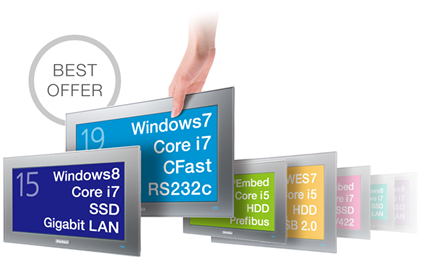 Choose from a variety of screen sizes and interface options. Offering high-spec products to cost-sensitive products, our built-to-order lineup allows customers to choose the product that fits their equipment and factory. 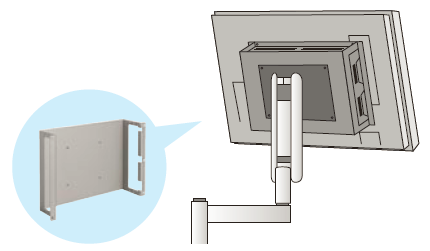 Easy to find your favorite configuration, "IPC Configurator"
Product can be installed with VESA mounting arm, and an enclosed model with IP66 is also available.